The lovely folk at Hastings Hotels have given Eating Ideas an afternoon tea for 2 people for one lucky reader to win. All you have to do is comment on this post saying why you would like to win! The winner will be announced on Friday 16th December. Good luck everyone! Afternoon tea has to be one of the best ideas ever. Its such an indulgent thing to do and feels like a special treat. 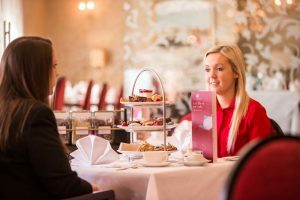 I have tried afternoon teas all over Northern Ireland and in my opinion, there is no better place to enjoy one than in the Slieve Donard with its fabulous views of the sea and the Mourne Mountains. Steaming hot tea, dainty sandwiches galore and lots of lovely sweet treats! what’s not to like? This is one prize that it’s really hard to give away but one of you will be lucky enough to win it and take your companion of choice. 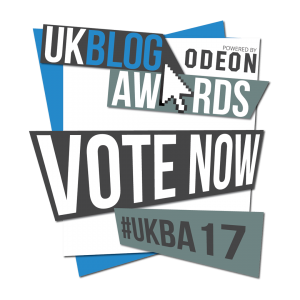 Best of luck everyone! I’d love to treat my mum to this indulgent treat! She’s a quiet lady and rarely treats herself to a cup of coffee out of the house so this would be a wonderful surprise! In the Slieve Donard Resort and spa is where I wanna be. Stunning surroundings, magnificent views and if you fancy a treat, afternoon tea for 2! Love the Slieve……….sitting by a roaring fire watching the grey Irish Sea roll in…..Bliss. 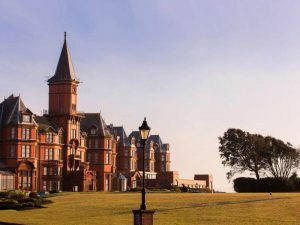 What an amazing treat, love The Slieve Donard, where the mountains of mourne sweeps down to the sea…. I would love to win to treat my partner! We celebrated our 10 year anniversary at Slieve Donard and it would be ace to visit again! Would love a wee day out with Mum…as wee say in NI…”go a wee run in the car” and have afternoon tea! I’d love to experience this delicious gorgeous afternoon tea with my husband. So we can relax and enjoy without the children.